It's never too early to start a reading plan to get through the cold and gloomy months ahead and I'm happy to have these projects to help me choose my winter reads. Read books you’ve been excited to read for a long time but never seem to get to in January. You can do this exclusively for the whole month (my approach), you can do it for just one week, or you can simply try to get to one or two of these books in January. Your level of commitment is entirely up to you! 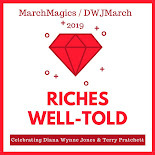 At the beginning of January, Iris and I will post something signalling the official start of Long-Awaited Reads month. If you’re taking part, you can come back to these posts and leave us a link to a LAR-related review; you’ll then be entered in a giveaway for a book you’ve always wanted to read that is up to $15/€11/£10 on BookDepository (open worldwide). If you want to talk about the event on Twitter, the hashtag is #LARMonth. Ana mentioned spontaneity in her post and I definitely want to have some of that too, especially since my TBR is next to my bed and sometimes I just look over and see a book that I decide must be read immediately. But I also want a motivating list so here are some of the books that I think I might want to pick up in January. 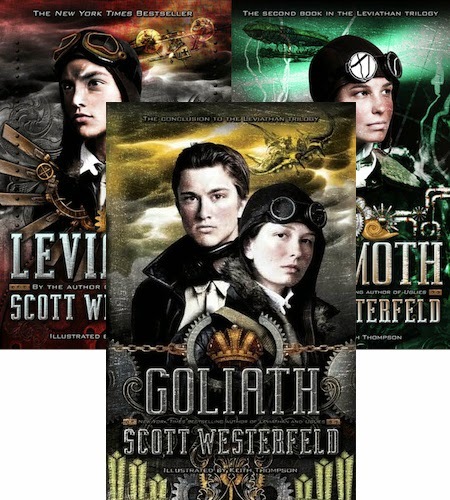 Scott Westerfeld's Leviathan series (Leviathan, Behemoth and Goliath). I own all of the books in hardcover and have the final one signed from KidLitCon a couple years ago. I'm sure once I get into the story, I will breeze through the series. War on the Margins by Libby Cone. I've wanted to read this one ever since I first heard about it and I won a copy from Teresa ages ago but still haven't read it for unknown reasons. He Knew He Was Right by Anthony Trollope because I have three books of his on my TBR but haven't read anything by him yet. There's a good chance he will end up being a favorite author so I'm not sure what's taking me so long. The Children's Book by A.S. Byatt. I usually pick up chunksters in the winter so maybe this will be the time I finally get to this one. The Crimson Petal and the White by Michel Faber. Of course, I could also choose this chunkster (that is probably a much faster read). This seems like a good choice for if/when we get snowed in. I think I'll stop here and leave the rest up to chance and my lengthy TBR list. 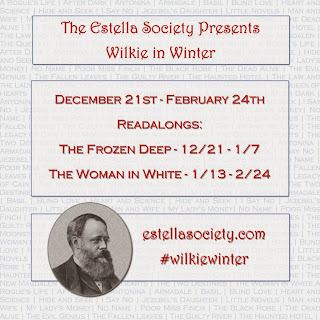 Andi and Heather (The Estella Society) and Amanda (Fig and Thistle) are hosting Wilkie in Winter and as a) Wilkie Collins is one of my favorite authors, b) I've wanted to read The Frozen Deep ever since I found out it had a lot of input from Charles Dickens and c) I'm long overdue for a reread of The Woman in White (and I haven't read my new Penguin Clothbound edition yet), I'll be joining. 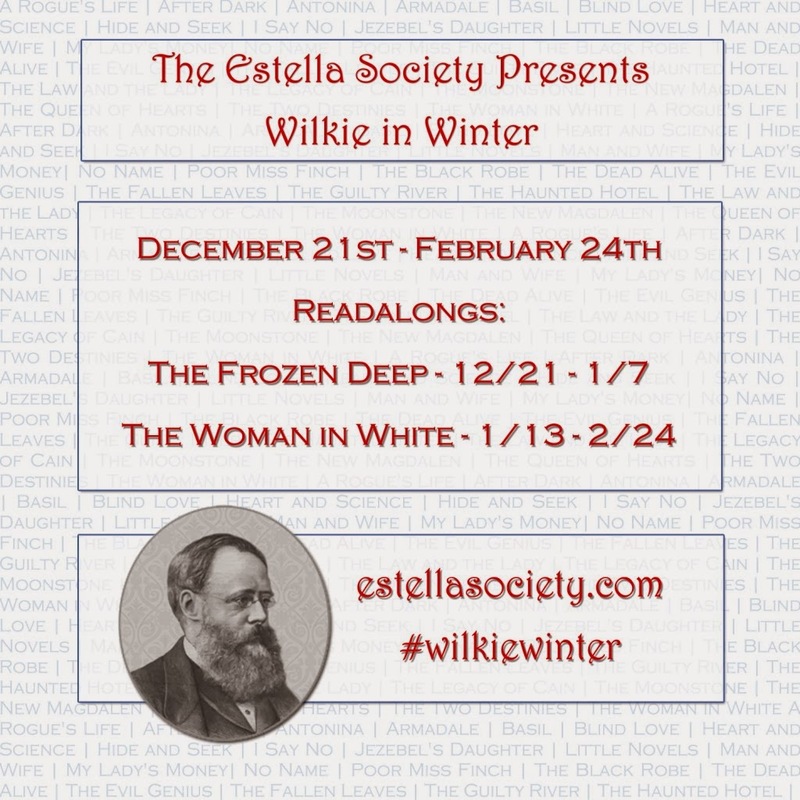 I'll also be reading The Wolves of Willoughby Chase and Harry Potter and the Goblet of Fire during this time for the 100 Chapter Books Project over at The Estella Society so it looks like a winter of fun reads! Are you planning on joining any of these events? Yay, I'm so glad you're joining! And The Children's Book is on my list as well! I agree though, spontaneity is often best and I'm sure I'll end up reading widely different books than are on my list right now (though hopefully some from that list as well). I want to join the Wilkie Collins thing! I love him and want to do my part in spreading the love. That's why I'm joining. I want to spread the Wilkie love! I'm going to try to join in for Wilkie in Winter! I've been wanting to read some of his books and this would be a great time to join in!